If her own powerful brood—two CEOs and a professor of pediatrics—is any indication, her methods work. Cutting taxes on huge corporations doesn’t create jobs. It makes CEOs richer and puts a bigger burden on the middle class. WATCH: House Financial Services Cmte. Chair Maxine Waters challenges bank CEOs to help change the student debt crisis. Remember when CEOs said they'd create thousands of jobs if we gave them massive tax cuts? Well, AT&T, Comcast and Pfizer just laid off hundreds of workers right after the Republicans passed their pathetic tax bill. Here's what Trump and corporate CEOs don't want you to know: Corporate tax cuts don't create jobs. They go into the pockets of wealthy CEOs. This is what real power looks like. CEOs, politicians, journalists watch in hushed silence as President Trump sweeps up the stairs. Davos becomes Versailles. It's simply wrong that top CEOs are paid more in the first three days of 2019 than an average worker earns in a year. It shows our economic system is rigged in favour of the privileged few. Eight months later, it's clear that Trump's tax cuts are only working for the billionaire class and wealthy CEOs. At TED this week, @TEDchris memorably described @jack as captain of the "Twittanic, " unable to turn the wheel with the iceberg looming. 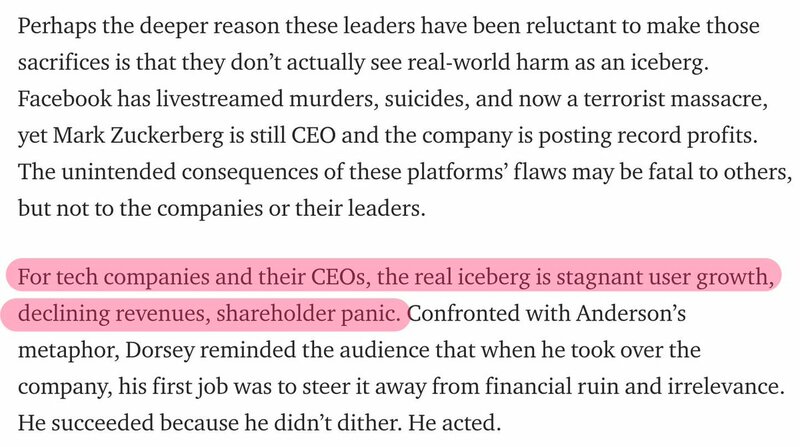 One reason for that might be: For tech CEOs, real-world harms aren't the iceberg. This level of inequality is a threat to our economy and democracy. Not content with a budget busting tax break that has helped the wealthy and CEOs, the Trump admin is considering another $100 billion gift. Remember this when they say we have to cut Medicare or Medicaid to save money. One of my favorite Leftist self-contradictions is that all CEOs are rapacious capitalists in search of the cheapest labor, but also so racist they won’t hire the cheapest labor. I don’t know about you, but I’m pretty angry about this. Thanks to the GOP tax bill, CEOs are cashing out instead of investing in their companies or giving their workers a raise. It’s not right. I interviewed @HowardSchultz for @HuffingtonPost a few years ago. He struck me as annoyingly self-impressed and self-aggrandizing. Selling oceans of coffee mainly qualifies him to...sell more coffee. As ego-mad CEOs go, he’s better@realDonaldTrump than , but that’s very faint praise. In 2017, the top 65 health care CEOs made $1.7 billion in compensation. $1.7 billion. Our dollars should go toward disease prevention, doctors, nurses, dentists and rural clinics—not toward making insurance companies and their CEOs super rich. Trump says the economy is "booming." It is—for the top 10 CEOs who saw their combined compensation soar by 60% in 2017. For the average worker, however, real wages went up by just 1.2% over the past year. The very rich get richer. Working families continue to struggle.